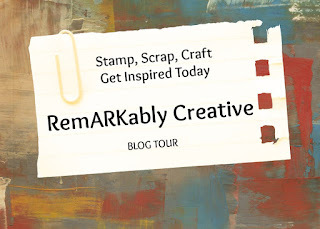 Welcome Crafty Friends to the Birthday Sundaes First Ever Blog Hop! I am glad to participate in a hop with a great design team! This blog hop is to introduce the new design team members and to bid farewell to previous DT members. I would like to say that I had a great first term with Birthday Sundaes and I will miss working with everyone. Even though, I will no longer be on the design team doesn't mean that I will not be participating in some of the challenges. If you came over from Tara's blog, then you are in the right place. Click here if you will like to start at the beginning. For my project, I used my Cricut Imagine to print and cut out the Cupcake. The image is from Love You A Latte cricut lite cartridge. I also cut out a heart shape tag from TBBM cartridge. I used some very yummy pattern from The Paper Studio Sugar and Spice collection. 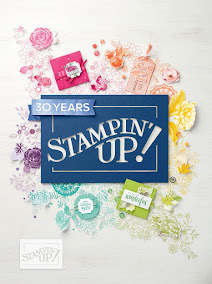 The sentiment is from My Pink Stamper Simply Sweet stamp set. The next stop is one of the newest members of the Birthday Sundaes DT Maribel . There is a Grand Prize that will be given away over at Birthday Sundaes. In order to qualify, you must play along in the blog hop by posting your project up at Birthday Sundaes and you must leave a comment on everyone's blog. I can't wait to see what everyone creates. Love your card! I am a new follower. I hope you will stop by my blog some time. I have a $25 gift card to Michael's I am giving away to one lucky follower. Feel fee to join in. I love it, Candice! Tha strawberry is sooo cute! This is so cute! The cupcake is fabulous! It has been great working with you Candice! You did a great job! This is a super cute little cupcake! I'm sorry we aren't working together on the DT, but I'm sure I'll see you in future Birthday Sundae challenges with your creations! This is one of the cutest cupcakes ever! Love the colors you used here! I am looking forward to seeing your creations each week. I hope we get a chance to work together one day! Candice, i love using my cricut as well...good job! Yummy that strawberry looks great on top! Love this!! Yummy who doesn't love a strawberry on a cupcake?! Haha! Great card! Lovely Card Candice! I've enjoyed working with you at Birthday Sundaes! Best Wishes on your new adventures! Like your card. Enjoying the blog hop. very pretty, i love brown and pink together! Super cute cupcake in my favorite colors! I love it!! It was great having you on the first term and I'll still be visiting! Love your card! the color combo is great! Love your card the colors are great. Love the colors, very cute card! I love the colors on your care, great work! Adorable! Love the cupcake - yum! TFS! a great card! I've always loved this color combo! Great colors! Love the strawberry on top! YUM!! I am a new follower! Super Cute Card!! I love the colors!! Cute card! I love your colors! that strawberry is just too cute! love the colours. Great card Candice....love the soft colors! It reminds me of peaches and cream but its strawberries. How sweet! I love that you've stamped your sentiment on a heart shaped tag. So cute! This card is so cute, love the colors!! Cute card. I like the ribbon and the little heart tag. Your card is so cute. Good color choice. Great colors! Thanks for sharing your card! The card is sooo adorable! i love the little heart tag. Fab card - love the coour combo! Such a cute card Candace. The papers are yummy and that strawberry on top of the cupcake is the perfect touch. I'm going to miss seeing your work each week, but I look forward to you joining in on the challenges now, when you can. Love the pink and brown color combo! I LOVE the strawberry on top! Love the card. I am in love with the Love You a Latte cartridge. I'm going to need to get my hands on it soon. Thanks for sharing! Pretty card, I love the colors! I'm a new follower, I hope you'll stop by my blog - I'm having a 100 follower challenge/giveaway!